Floris was a first-generation Jamaican migrant who arrived in the UK in 1961. 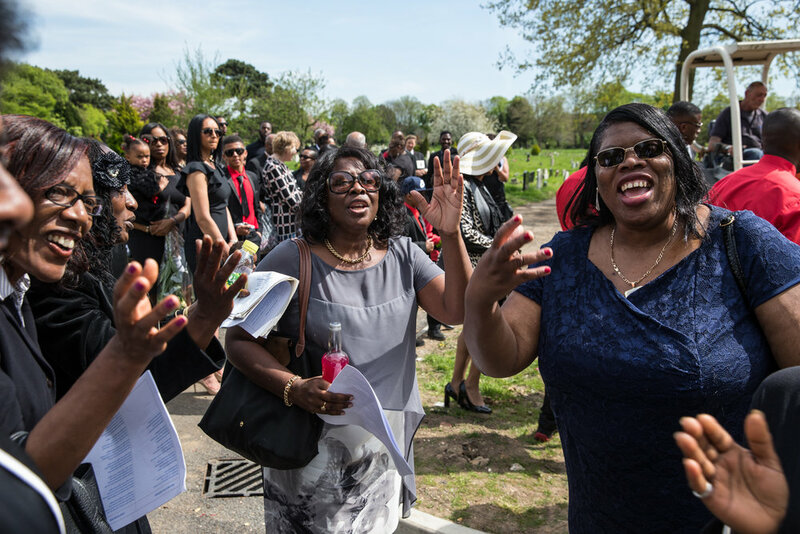 When she died in 2016, her daughter Diane was determined to send her mum off with a traditional Jamaican funeral, here in south London. 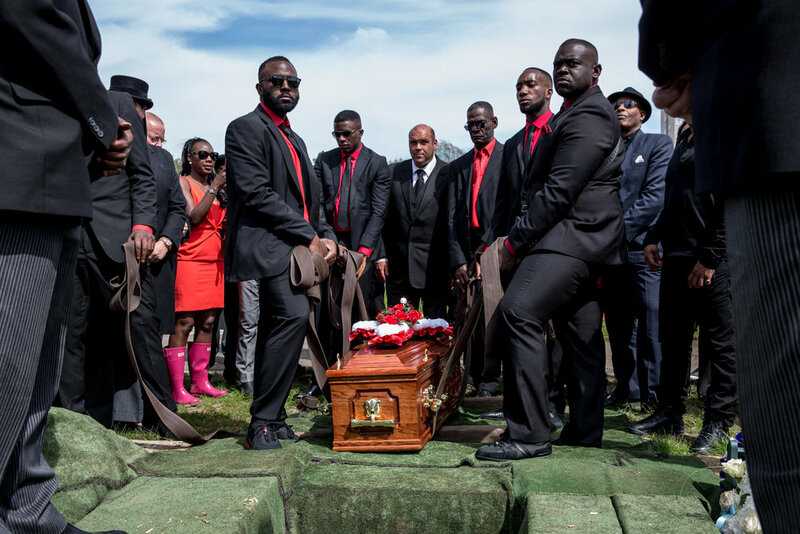 Jamaican funerals are very distinctive. The family men (of all ages, and wearing specially made suits and shirts) take responsibility for everything, culminating in filling the grave with earth; the coffin is opened in the church to allow final farewells; rum is drunk by the grave whilst mourners sing; a final (large!) tot of rum is poured over the coffin in the grave; and the grave is covered with flowers, laid by the family. 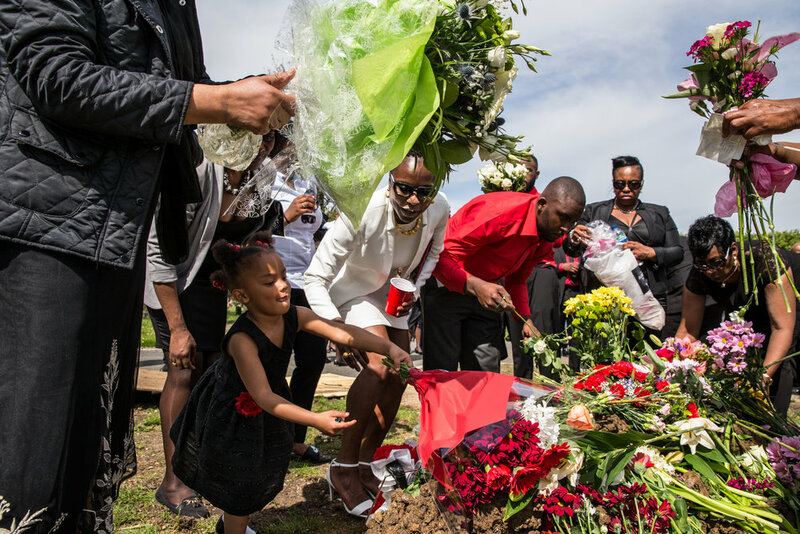 It is a celebration of a life lived and very different to most funeral experiences. These images represent an extract of the full photo-story. The complete photo-story, 'Floris's Sunset', will be part of the exhibition 'Windrush: Portrait of a Generation' which will be exhibited in the Oxo Gallery on London's south bank from May 23rd to June 10th.